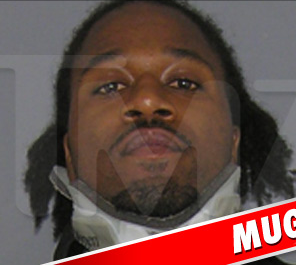 NFL star Adam “Pacman” Jones was arrested in Cincinnati this morning for disorderly conduct while intoxicated and resisting arrest. Yeah, this isn’t the least bit surprising. This guy is a Tool… with a capital T. Jones is completely incapable of keeping himself out of trouble. This time around two cops had take him down to cuff him. So what was the reason behind all of this? Jones was kicked out of a bar but refused to leave. Jones is still in custody and I highly recommend that he stays there for good. He’s far more trouble than he’s worth.